​Larchmont Animal Clinic adheres to strong standards of excellence for veterinary care, and has provided care for companion animals since the 1970s. One way in which Larchmont Animal Clinic has proven its high standards is through accreditation from the American Animal Hospital Association (AAHA), which is given to less than 5 percent of veterinary care facilities nationwide. AAHA has offered accreditation since its inception in 1933, when leaders in the organization and other veterinary experts teamed up to create specific standards for practices of care for companion animals. Over time, these principles have been updated to reflect improved standards of animal care. To become accredited, a non-accredited member practice must apply and make use of the AAHA accreditation evaluation tool on the AAHA website. A practice consultant will follow up on the application, and the applying veterinary hospital will receive notice about three months prior to the evaluation. Once evaluation fees are paid and the evaluation has been completed, if the applicant is accepted for accreditation, it will receive an AAHA letter of congratulations and certificate and can begin using the AAHA Accredited Practice designation. Larchmont Animal Clinic has helped many people care for their companion animals since it opened four decades ago. One of the most common animals Larchmont Animal Clinic assists people with is dogs, which are often companions to human partners from birth and need significant care during their time as puppies. When helping a new puppy settle in, pet owners should make sure to have appropriate amounts of food, a bed, a play pen, collar, and toys ready before the pet arrives. These items will help the puppy feel more at ease in a strange new environment. Many of these things will become fixtures in the dog's life, so it is important to make sure they become familiar quickly. Similarly, a puppy should be introduced to family and friends quickly, as well as to other visitors, though the animal should retain control over these social interactions. Avoid forcing a shy puppy to socialize. Start basic training, including toilet training, early. Puppies need to get used to going outside to relieve themselves early, and should not be punished for early failures. Based in Los Angeles, Larchmont Animal Clinic is an AAHA-accredited institution that provides a comprehensive set of veterinary services. Among the many services being offered at Larchmont Animal Clinic is laser therapy, a procedure that helps speed healing and reduce pain. Laser therapy is a non-invasive procedure used in the treatment of numerous conditions such as degenerative joint disease, generalized pain, and skin problems. It can also be used to complement existing treatment protocols. Laser therapy works by stimulating the pet's body to initiate healing from the inside. Non-thermal light photons are shot into the pet's body for around eight minutes in order to stimulate injured cells and increase their metabolic rate, which then hastens the healing process and results in pain relief or inflammation reduction. Owners need not worry about their pets as they won't be harmed during the conduct of the procedure. On the contrary, pets are observed to be relaxed during the procedure as the effects of laser therapy are almost instantaneous. ​Larchmont Animal Clinic is a well-established Los Angeles veterinary practice that offers full-service care for cats, dogs, and exotic pets. Larchmont Animal Clinic’s experienced staff offers personalized guidance on pets’ nutritional requirements as they progress through the life stages. They understand the needs of senior dogs, who have a variety of diet needs distinct from younger canines. According to the ASPCA, senior dogs (starting in the 5-7 age range, depending on size and breed) are more liable to gain body fat, despite lower overall caloric consumption. For this reason, dog food formulations with lower caloric density are recommended. The needs of senior dogs do not change in one important respect. 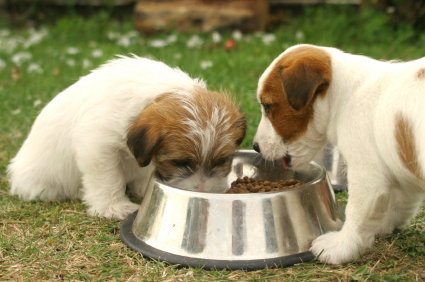 Older dogs continue to require consistent levels of protein, in an easily digestible form. Protein intake is not a significant contributor to kidney failure, as some have claimed. A diet abundant in proteins helps older canines maintain optimal muscle mass. Senior dogs also benefit from increased intake of the omega-6 fatty acid gamma-linolenic acid (GLA), which is vital to skin and coat health. Elevated levels of beta-carotene, vitamin E, are also recommended and fructooligosaccharides (FLO) play an essential role in ensuring that beneficial bacteria thrive. ​Serving the needs of Los Angeles pet owners, Larchmont Animal Clinic offers a dedicated veterinary team with experience in vaccinations, health care, and dental care and cleanings. Among Larchmont Animal Clinic’s offerings is laser therapy, which is an effective, noninvasive way of treating a number of conditions, from general pain to wounds and ear infections. Laser therapy involves the use of non-thermal light photons, administered on the pet’s body for up to eight minutes. The laser is absorbed by affected cells, which are stimulated to an increased metabolic rate. The results of a treatment session include lessened inflammation and improved circulation. In addition, the laser provides pain relief and helps speed up the healing process. In a testimonial featured on the clinic’s website, one pet owner describes how his labradoodle, Amelie, had been limping in recent weeks. Under recommendation of a Larchmont veterinarian, Amelie started a series of therapy laser sessions. An improvement in the limp was noticeable after only a few sessions and daily pain killers proved to be no longer necessary. ​For nearly 40 years, Larchmont Animal Clinic has provided comprehensive care to pets and reassurance to their owners. Larchmont Animal Clinic helps pet owners to guard against fleas and keep their animals safe from bites. Fleas pose a hazard to your pet as well as to your home. You can begin to keep them way by keeping your pet well-groomed. This includes combing his or her fur regularly and drowning any fleas that you find in soapy water. Treating your pets with a flea control product, which your veterinarian can help you to select, is also a very important part of keeping your animals and your home free of fleas. Vacuum regularly to pick up tiny flea eggs, and keep your pet's bedding area clean. Place eucalyptus leaves throughout your home and yard. Just a few leaves in each room and outside can give off enough of a smell to discourage fleas from entering the space. Furthermore, because the microscopic nematode worm eats the larvae of fleas, a spray of these organisms outside can significantly reduce the present flea population. Microchipping technology currently plays an invaluable role in animal research and pet safety. Used by animal shelters, veterinarians, kennels, humane societies, pet stores, and similar organizations, microchips allow for the identification and return of lost animals. In part two of this dual-part primer on microchipping, Dr. Jan Ciganek, owner of the Los Angeles-based Larchmont Animal Clinic, discusses some of pet owners’ common concerns and inquiries about the technology. Q: How is my microchipped pet returned to me if I lose it? A: One of the first routine actions that animal shelter or veterinary clinic staff members take when they find a stray pet is to scan the animal for a microchip. Once they retrieve the chip’s ID number, they may access the manufacturer’s registry and determine the animal’s owner. However, this process only works if the pet’s owner updates the microchip registry or database with their current information. Q: Do I stand a better chance of retrieving my lost pet if it contains a microchip than if it only has an identification tag? A: Research data seems to suggest so. A study published in the Journal of the American Veterinary Medical Association in 2009 examined the recovery rate of some 7,700 stray animals found in animal shelters. Researchers reported that non-microchipped dogs and cats were returned to their owners 21.9 percent and 1.8 percent of the time, respectively. Conversely, microchipped dogs and cats were reunited with their owners 52.2 percent and 38.5 percent of the time, respectively. Q: Why were some of the microchipped pets not returned? How effective is the scanning technology in picking up microchips? A: According to the same study, the two most common reasons microchipped dogs and cats were not recovered were that owners did not update their microchip registry information or they failed to enter any information at all into the databases. On very rare occasions, technology or human errors lead to a failure in identifying the pet’s microchip. These situations occur only infrequently, however, and new technologies in microchipping should reduce the incidence of these mistakes. Q: If I microchip my dog or cat, do I still need to give it identification and rabies tags? A: While a microchip works as a permanent, tamper-proof form of ID, it in no way replaces up-to-date identification and rabies tags. Rabies tags in particular should be attached to the collars of dogs and cats, showing other people that the animal has received the latest vaccinations. Los Angeles’ Larchmont Animal Clinic focuses on maintaining strong relationships with its clients. The clinic hosted a Spring Is in the Air pet photo contest on Facebook, with submissions accepted from April 20 to April 30, 2015. Clients had opportunities to post photos of their beloved pets on the Larchmont Animal Clinic page, with winners selected based on the numbers of “likes” received by photos. The prizes were a 12-month supply and a 6-month supply of flea treatment for first and second place, respectively. With this unique contest, the clinic demonstrates one creative way that businesses can use social media to keep connected to clients. In addition to its photo contest, the clinic provides regular updates to clients and followers on Facebook. These include details on the clinic’s services, along with fun and informative articles. Animal lovers can get advice on topics such as how to travel safely with pets or how to pet-proof a home. 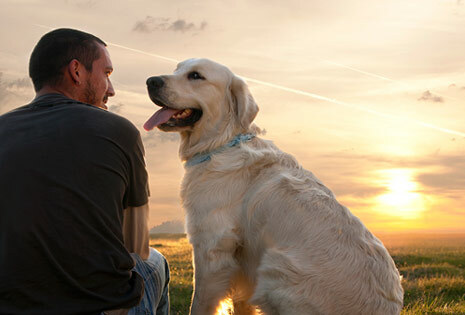 These helpful tips can create a better quality of life for pets and strengthen the bond between pet owners and their animal companions. Regular updates keep the clinic connected to valued current customers and help it reach potential new clients seeking high-quality veterinary care. The practice also maintains an active Twitter feed at @LarchmontAC with informative and heart-warming animal articles and images. Since 1974, Larchmont Animal Clinic has been providing high quality veterinary care for small animals and exotics. The clinic offers its clients a wide variety of testing and surgical procedures, along with preventative care and an on-site pharmacy to help keep pets healthy. In addition, Larchmont Animal Clinic is accredited by the American Animal Hospital Association, a distinction that only 12% of animal care facilities have received. Founded in 1933, the American Animal Hospital Association has been dedicated to supporting and improving pet care practices by promoting a high level of excellence in the field. The AAHA currently serves around 5,500 teams throughout America and Canada, with close to 3,200 of them accredited. Through its highly regarded accreditations, education programs, and promotion of veterinary care improvement, the AAHA hopes to achieve its mission of ensuring veterinary practices meet the needs of the public. The American Animal Hospital Association hosts a variety of conferences and both online and on-site workshops to help veterinarians and their team members stay up-to-date on their knowledge and skills. Through its accreditation program, the AAHA increases veterinary care standards and boosts public confidence in local vet clinics. In order to maintain their accreditation, clinics must meet the AAHA’s rigorous standards of care. For over 35 years, Larchmont Animal Clinic has been committed to providing the highest quality veterinary care to its clients in Los Angeles. In addition to its wide variety of diagnostic procedures and on-site pharmacy, Larchmont Animal Clinic also offers boarding kennels and well-supervised areas for hospitalization, and it is closely associated with The Barking Lot, a well-supplied pet store. Larchmont Animal Clinic is also active within its community. Among several other organizations, the clinic supports the Good Shepherd Center for Homeless Women and Children. Good Shepherd Center was founded in 1984 with the goal of helping homeless women achieve self-sufficiency for themselves and their children. The Center hopes to break the poverty cycle by providing women with housing and employment assistance, as well as training to acquire the skills they need to find jobs. The Center’s programs help women through every step on the path from homelessness to self-sufficiency. Through the Mobile Outreach Van, women living on the streets are able to receive food, water, and basic necessities such as clothes, blankets, and toiletries. Through the Center’s Women’s Village, the organization helps women rebuild their lives through education, training, and affordable transitional housing opportunities. With the help of donations and volunteers, Good Shepherd Center for Homeless Women and Children is able to fulfill its mission.